So there comes two distinctive times in every singer-songwriter's life, especially if they've got a theatrical slant and even more especially if they've had any degree of crossover success. The first is the concept record: the overblown, overwrought 'statement of the human condition' record that often proves to be the point where even diehard fans start looking for the exits. These are the records that end careers, full stop... but if they don't, you get the second case: the inevitable comedown release, the one that might try to win back the fanbase but crystallizes more on the wide-eyed, panicked feeling that you have nothing else to say and thus are going to collapse inwards in spectacular fashion. They're often just as pretentious but considerably more uncomfortable, the artist ripping away any veneer in grotesque, self-destructive fashion to expose the humanity within, when the artist holes up in a mansion or hotel and truly starts to fly off the rails - and sometimes more rails than you might realize. 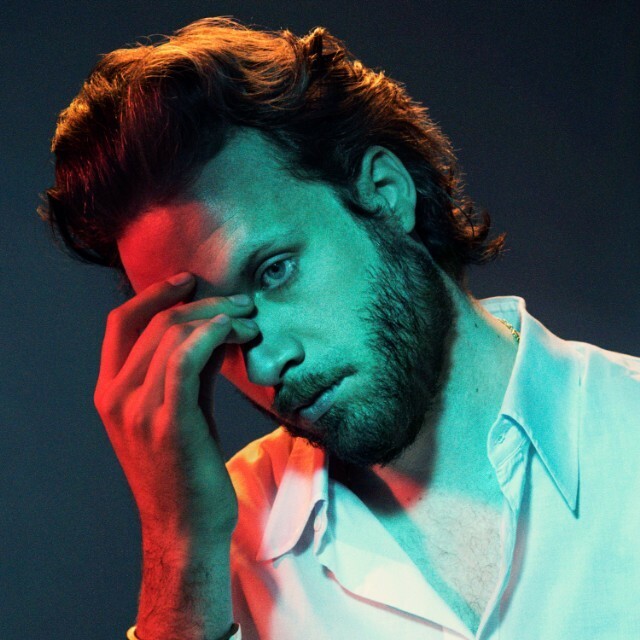 And I'm not remotely surprised that Josh Tillman aka Father John Misty took both of these steps, especially considering the narrow line he walks between biting self-aware satire and genuine earnestness which manifested most strongly on the breakthrough record I Love You Honeybear in 2015. And thus with Pure Comedy we got the overblown concept record and now... look, the seeds have been planted for years, Tillman knew he'd have to go down this rabbit hole in the same way Dylan and Beck and Berninger and Cave have, for as much as he has deconstructed his ego and artistic persona, it's still one he has yet to truly set on fire, and God's Favorite Customer looked like it would be that moment. And I'll admit records with these themes really get under my skin in a great way - beyond just the artistic deconstruction and raw humanity exposed, for an artist with such intense self-awareness of the artifice of his image and the crowd that has embraced it, ironically or otherwise, as Josh Tillman, he would know exactly what buttons to push, a You're The Worst-episode made flesh. In other words, this could be a total trainwreck and I'd be here for it, so what did we get on God's Favorite Customer? So this is a tricky record to talk about - and not for the reasons you think. Not because it's uncomfortable - if anything, that's what gives God's Favorite Customer its edge, its willingness to tread in some surprisingly dangerous territory, which makes it a genuinely terrific listen - but this is one of those projects where the subtext is far more loaded than the text, which has never really been the case with Josh Tillman in the past. And it's also one where I really don't want to make assumptions about the sin at the core of this record, where the artifice becomes necessary to conceal the truth but shaky enough to imply its gravity - and with Tillman doing very few interviews in this record's lead-up, you can tell he's working his damnedest to conceal something. And that tension... folks, you might not hear it initially, but this is one of the most deeply unsettling records you'll hear in 2018, and once you get even a loose handle on what could have happened, one of the most deeply tragic. And if you don't hear it immediately, I get it, because on the surface much of the style that Tillman has he's used before. The production that splits the difference between sunny 70s AM soft rock, alternative country, and lounge pianos, not as opulent as I Love You, Honeybear or as skeletal as Pure Comedy, a sound that you could associate with Tillman in his comfort zone or going back to this roots on Fear Fun... except something seems off, just subtly askew. The songs end abruptly, you get interjection of minor progressions within the melodies implying something amiss like within 'Mr. Tillman' and 'Date Night', you get fragments of scuzzy electric guitars and synthesizers buzzing in with contributions from The Haxan Cloak of all people, the vocal pickup is less consistent, in some cases retaining its rich intimacy but in many others tacking on flatter multi-tracking or slightly distant pickups like 'The Palace' with a bit more reverb to add a bit more harshness to the presentation - cracks in the rich, smooth veneer. Now this is not new - Tillman and his production team have always had an eye for detail - but as this record progresses more layers fall away, stumbling towards barebones piano as the unsettling truth becomes even more apparent. And a huge part of this is Tillman's performance - it's genuinely difficult to convey instability with any degree of subtlety, especially when his delivery already walks the narrow line between artifice and genuine earnest emotion, but the fact that by the time we get to the title track or especially 'The Songwriter' he has to get us to actually care... well, he gets there, even if you could definitely make the argument this is a far less impressive record than previous endeavors. Oh, the hooks are there - the unsettling piano tinkles on 'Mr. Tillman', the choppy strums and intentional ragged edge of 'Date Night', the beautiful harmonica-accented lounge seediness of the title track with Weyes Blood providing ethereal vocals more elegant than the song probably deserves - but this is not a record that'll match the grandest moments on anything Tillman has released before, and the more he pushes into his thinner falsetto range, the more it becomes painfully clear he knows it too. But you only strip things back this much if you're looking to draw more focused attention to the lyrical content - and I can see a lot of people being disappointed or at the very least underwhelmed by much of the wordplay we get here, especially if you're coming from the overstuffed richness of previous records. But more than that, while Tillman's greatest strengths as a lyricist have come in detail leaning into the absurd where you can laugh but also appreciate the heartfelt core or sheer cleverness on display, God's Favorite Customer seems designed to disappoint here - outside of 'Mr. Tillman' diving into surrealism, the storytelling is more opaque, the jokes are less funny, and even the wit seems to have a desperate edge. Much of the record was conceived and written in a hotel where Tillman holed up for a few months amidst rumors of mental health issues and strains on his marriage... and here's where things get tricky, because while there is a deconstructive angle we'll address, if you start digging into the subtext it's hard to avoid connecting dots that have not been made public, and since I don't have confirmation this is precisely the case and given the sensitivity, I'm going to lay out my evidence and see what conclusions you draw. But again, that's just my reading of the subtext and thematic deconstruction here - I may be completely off with this... but I don't think I am, and while it might be years before we ever get the full truth, I'm comfortable leaving my findings here. In the mean time, though, God's Favorite Customer is a genuinely great record - not better than I Love You, Honeybear and likely more accessible than Pure Comedy... but man, it's a harrowing listen, especially when you peel back more of the layers. And while I wouldn't say it quite has the standout moments of his best work, this is still netting an 8/10 from me and definitely recommended, the sort of project that will not be for everyone but is a fascinatingly complex and emotive deconstruction all the same. And where Father John Misty goes from here... at this point, it's anybody's guess, but I'm happy to follow along the way to figure it out.